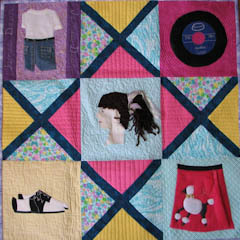 There are several reasons why “touch quilts” are a treasured commodity in memory care centers. 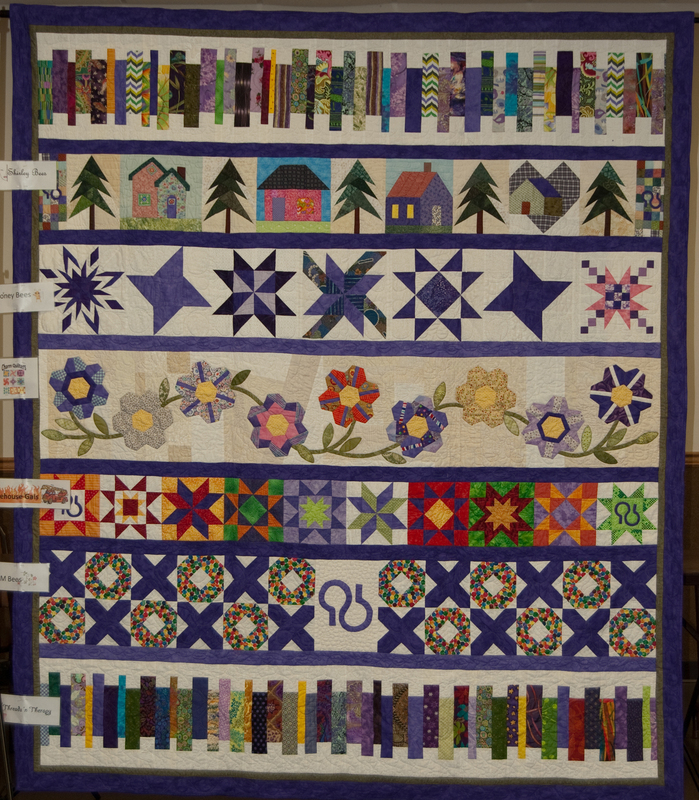 For one, in individuals with dementia the sense of touch remains largely intact and the variety of textures in the quilts can stimulate memories otherwise lost to them. 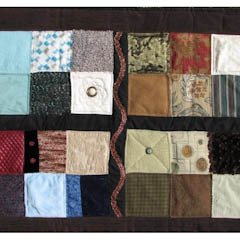 Touch quilts provide comfort, calming and stimulation for people with late-mid- to late-stage Alzheimer's disease and related dementias - people who constantly twist buttons and endlessly pick at 'lint'. 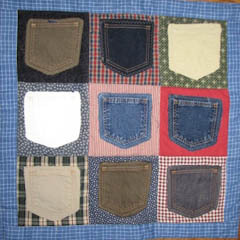 It has been found by caregivers that their workload is lightened, and the patients' need for sedatives is decreased when the quilts are utilized in their facilities. 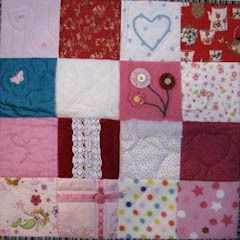 Also, many older people, affected by lower body temperature, simply enjoy the warmth of these small quilts on cold days. 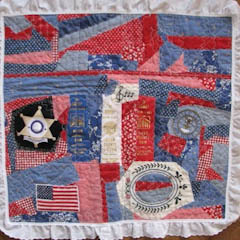 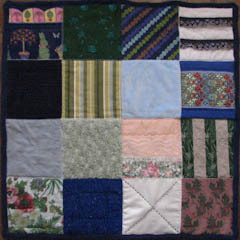 Another, even simpler reason is that the “patchwork quilt” is very familiar to older clients; it reminds them of earlier days. 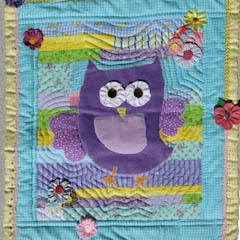 Appleseed Quilters Guild is proud to continue to create touch quilts for the Alzheimer's Association and various care facilities in and around Fort Wayne, Indiana. 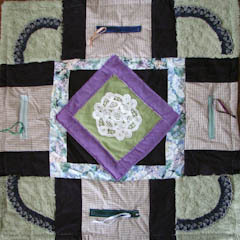 For more infomation about the Alzheimer's Association please visit their website at: http://www.alz.org/. 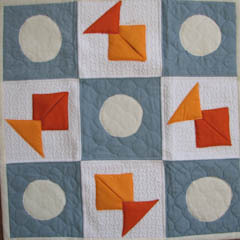 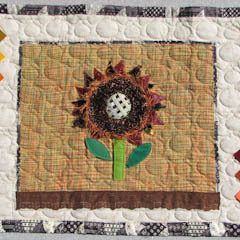 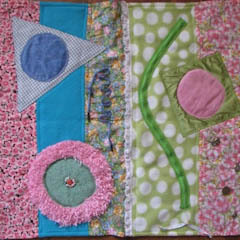 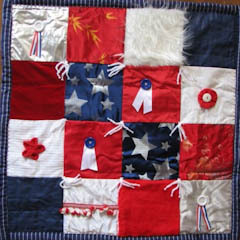 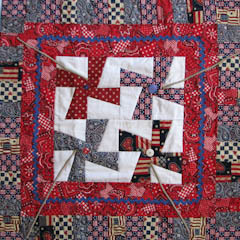 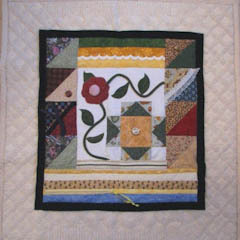 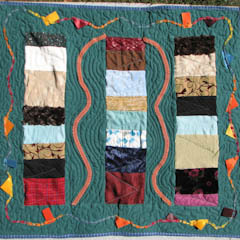 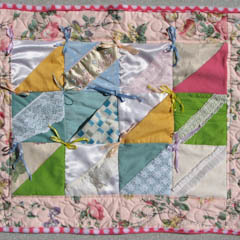 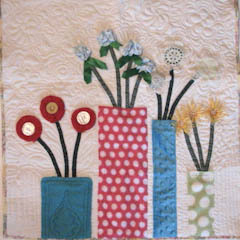 For guidelines for making a touch quilt please click here. 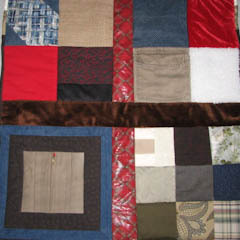 Many different designs can be used as shown in the pictures below. 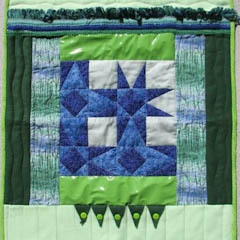 For one optional pattern, click here.